Bluebeard's Castle is rated 3.6 out of 5 by 293. Rated 5 out of 5 by cuorips from A well hidden Gem I just discovered it and will play it again and again. Well designed, smart, beautiful art. An old fashioned game as they use to do, unfortunately games now are quite boring so it was truly great to find this one from the vault of the past ! Rated 5 out of 5 by SparkleGlow100 from THOROUGHLY ENJOYABLE! THANK YOU :) I was scouring the games for a “particular kind of game” and this fit the bill. Quirky and spooky (not scary or violent). I read the reviews and knew this was for me. You must want to play a challenging game to really enjoy this. I had to refer to the BFG walkthrough for this game 3 -4 times. Game took just over 4hrs (game records your time as a ‘score’), but I wasn’t rushing and played it over a few nights. GRAPHICS: Lots of shading, lots of painting, and has certain styling; all very nice and suited the game. A little dark. You will need to increase your computer brightness to maximum. Didn’t fill my whole screen, the other option is for windowed. HOPS: A LOT. 30 or so? If you click on a word, a silhouette will appear in left lower corner to help you. Items are easy to see (IF you maximize screen brightness). PUZZLES/MINIGAMES: Quite a few. I think, some were skippable, but not all; some you could use ‘hint.' Emphasis was on the adventure and HOPS components. SOUNDS: Two adjustable options: music and ambient. Nice nature sounds when outdoors. HINT: Does not lead you. Will often give you written clues, but not always! INFO: If you press “INFO” just next to the hint, you will get your current task or the area you are in. MAP: NONE INVENTORY: NOT lockable. You will often carry 12 items or more. CHARACTER INTERACTION: Very, very little. JOURNAL: NONE Yes, there are blank screens here and there, but not after every single transition, and for me they didn’t last more than 1-2 seconds. Sometimes there would be loading up to 100%, but this didn’t happen often. Occasionally, it was a little tiring having to navigate without a travel map, but I didn't play this game in one go, so it didn't matter to me. Rated 5 out of 5 by NoMonkeyNo from Loved this Game This game was challenging but not so much that it took away from the fun of it. It's probably one of my favorites to date. Rated 5 out of 5 by mrm2006 from Well...Just WOW Well, hot diggity (since I can't use the other "d" word, you know "dangity") lol. This is based on the completed game. First and foremost, I disagree with allll the reviewers who said they finished the game in 4 hours or in just under 4 hours. I played this game ALL DAY LONG! The gist of the storyline.....you are Emily. Your sister, Clarice, has married a blackheart whose past 7 wives have all died under mysterious conditions. What would cause her to marry such a man? Everyone knew of the 7 dead wives....ah, well, love as they say, is blind. You haven't heard from your sister in a very long time and fear the worst so off you go to search for her...and search for her you do. This is not a typical hidden object game. Nor do I feel it is a typical adventure game. There are HOGs aplenty and mini games - not that I found either terribly dark or difficult. The entire ambiance of the game is dark and spooky so why would you expect the HOGs to be anything but? Music? Sorry, I'm a grandma and learned to tune out things a l-o-n-g time ago. You will not be handheld for this game as we are so many games today. There is no map, jumpable or otherwise - none. There is no diary or journal that will keep you updated on whatever they generally do and, more importantly, nothing to make a note of your clues, codes, etc. There is no compass - nothing pointing you in any given direction. The "info" button only tells you what room you're in. Yeah. The hint button is more useless than useful and takes a while to recharge - however, since there are no achievements, feel free to hint away in the HOGs - although there is a penalty for over-clicking. There is also no pet, friend, animal or fuzzy little creature for you to name that will help you. Are you getting it??? THERE IS NO HELP FOR YOU IN THIS GAME - you are on your own, except for obscure clues found here and thereabouts - look closely and remember. You may do something that you KNOW you are supposed to be doing and it just isn't working. You may get an annoying message stating "the devil is in the details" - well, what the frack is that supposed to mean? Do I need something? Do I need to come back? What???? Hah, I had to figure it out so...you will too. There is a LOT of back and forth, and forth and back, and back and forth and, oh, if I were really doing all that walking I would have rested a million times. There are also your inventory items that you receive NOT just for completion of an HOG. There are items you will use right away, items you know what to do with and items that won't be used for a millennium (well, it felt like a millennium). One tidbit I can share with you which is not a spoiler.....when you are finished with an area/room/whatever, you.....will....unequivocally.....know. That's not saying you will know what to do next, as you will probably get the following answer to your hint click - "search through Blackbeard's castle and grounds" - yeah, thanks. As I said, not a very helpful hint button. It took me a while to get the know-how of how to play this game because I am also spoiled by the handholding games of today. But once I figured it out, a lightbulb lit my entire neighborhood with its brightness and I was like, doh. Saying that, had the lighbulb glared earlier in the game I would not have progressed any faster than I did. Not helpful, huh? Sorry. You will work VERY HARD to get through this game. You will not get a "bam" ending. You will work very hard until the very last millisecond of this game. But, every piece of the puzzle realized will have you feeling so overwhelmed with accomplishment you will not want to stop playing. You need to use your brain (on full awareness mode) throughout this game. Therefore, I DO NOT recommend this for beginners. I purchased this game as part of a "bundle" offering and based on the "great" reviews. Not sure I'll do that again. Everyone talked about how great the game is - it is that. No one talked about how different the gameplay was or how difficult it could be, even on the easiest setting. I loved this game almost from the beginning and definitely to the end. Obviously - as it is now 1:30 am on Mother's Day and I've been at it f-o-r-e-v-e-r. I would love to have more games like this available. I had to think and plan my moves. But once in the groove, there was no stopping me - lol. Do you find your sister? Is this a prequel to a sequel? Is the ending everything I had hoped it would be and fireworks are exploding with the wonderfulness of it? Not saying. Just remember, this is Blackbeard and you are entering his castle and you have not been invited. This Glam-ma says try the demo, although I'm not sure you will get a true taste of the game in an hour. I hope you enjoy it as much as I enjoyed the entire game. Rated 5 out of 5 by pennmom36 from Bluebeard's Castle Bluebeard had married your sister and she fears that Bluebeard's previous wives are locked in a room she has been forbidden to see (thats an open invitation in my opinion) Now you are searching this mysterious castle for your missing sister, is it too late? I must admit that I played the newest Bluebeard:Son of Heartless first, and enjoyed the game so much that I had to go back to the beginning, and I love this game just as much! There are so many mini games and hidden object games to play, one after another. 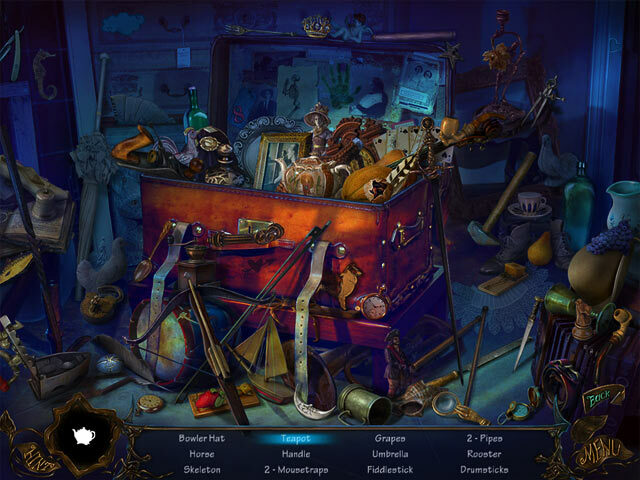 The hidden object scenes are a mixture of "find 15 hat pins" and hidden list finds. When you click on the listed word such as butterfly, a silhouetted shape of the butterfly you are looking for is displayed on the hint icon, if you click on the hint itself it will show you where this item is hidden. There are a ton of mini games and puzzles, most require you to find all the missing pieces throughout the castle before playing the game. There are simple puzzles like putting mirror fragments together or placing 7 Nymphs into their correct places on a serpent fountain, if you click on the serpents head an outline will appear to help you figure out which Nymph goes where. This is a simple game with a good story and plenty of entertainment, enjoy! Rated 5 out of 5 by BanditRedd from good game the only negative was the hesitation of going to screen to screen. otherwise, it was a great game to play. storyline very good. looking forward to playing the sequel that i purchased. Rated 5 out of 5 by nospaceleft from Everthing they say is TRUE!!! Yes, even the negative reviews are true...but the things some didn't like are what makes this game one of the best I've ever played!! I played this game over several days, and, because there is no map or journal, I did get lost a few times. However, the game is in logical order...and when a room or area is finished...it's DONE! You may go back to read some note, or to refresh your memory, but when you've done everything you can in that area it just becomes a "pass-through". There is a bit of running around, but you can always come out and check the walk-through (I did...at least twice) but, for me, there was just enough challenge to keep me coming back and I can't wait to start the "Son of the Heartless" except that I hate the idea that when I finish that game there will be no more! Some of the puzzles were too easy and some were a bit difficult, but the HO scenes were simple and clear...even when they were very crowded. I've been playing games with interactive maps and thought this would be distasteful.....boy was I pleasantly surprised!! Rated 5 out of 5 by Gyongy from Loved it I enjoyed this game and would gladly recommend it to everyone. I love the graphics, the puzzles and the story line that combines many elements of the fairy tale world. Well done. Rated 5 out of 5 by sapoe from good! I really enjoy and having fun play this game until end! Thank you dev, for making this! Love it and good job! 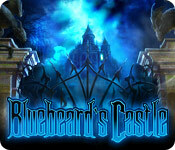 Rated 5 out of 5 by Nicolettesamurai from Bluebeard's Castle I really loved this game! I found the story line to be interesting. U have free seven souls, and collect the cards to go with each girl. 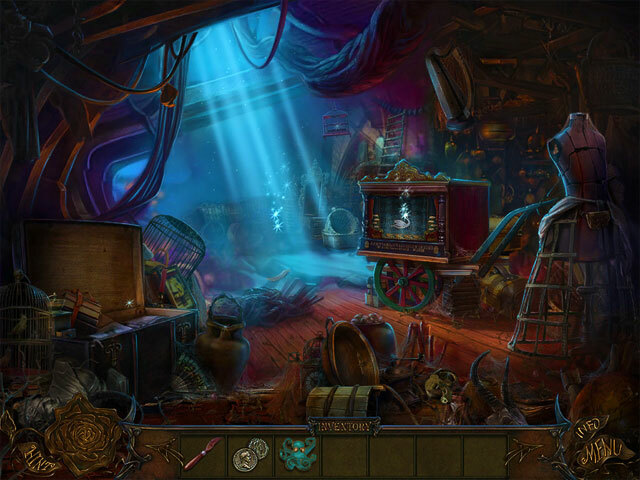 The hidden object scenes were fun, and the mini puzzles were interesting not to hard but some challangeing. The only draw back for me was that there was a lot of tracking backward, and the loading between scenes to awhile. Over all Id say fun game, just enough challenge to be fun but not exhusting! 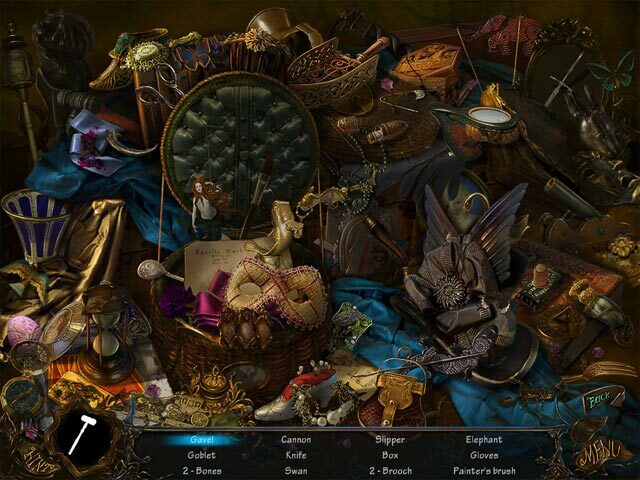 Save your sister from Bluebeard’s Castle in this incredible Hidden Object Puzzle Adventure game!